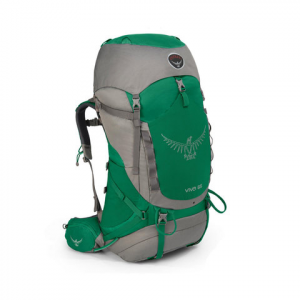 Long live backcountry adventures; the Osprey Viva 65 is the perfect pack for lightweight treks into the wilderness. The Viva is a one-size-fits-all design but features a Fit-on-the-Fly hipbelt that extends up to three inches on each side and torso adjustment for a custom fit. This pack features a large main compartment, top pocket, stretch mesh front pocket and a separate sleeping bag compartment with the convenience of a sleeping bag access zipper. Additional features include Stow-on-the-Go trekking pole attachments, hydration compatibility, ice axe loops and hipbelt pockets. This low profile and lightweight package is the perfect companion for weekend to seven day adventures.